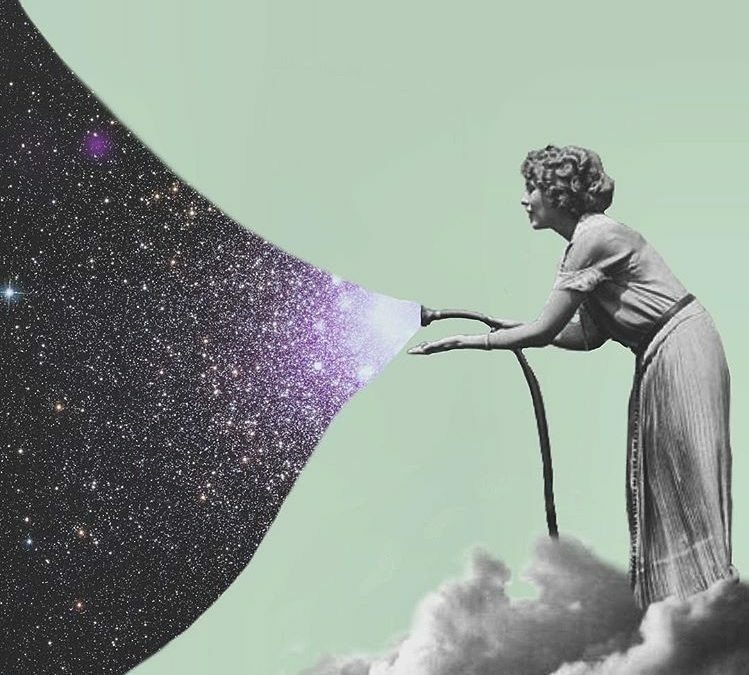 Virgo Season might be all about order, logic, and putting everything in its place, but this Pisces moon can’t help but bend toward the healing potential of entropy. And the universe itself can’t help but bend toward entropy. If you think about it, the truly paradoxical thing about this is that entropy — which is “disorder” by definition — ACTUALLY IS the universe restoring its own natural order. The order that we impose on ourselves and our lives — control, in so many words — necessarily imposes a form of disorder on the universe. It’s not that one is bad and the other is good. Most of life is just figuring out when to impose and when to surrender. A Pisces full moon is almost always going to be a “letting go” type of affair — a wisening around our circumstances that helps us forgive, accept, and release with the aid of a bit of hindsight, and with the aid of a bit of appreciation for all the ways in which things are truly falling into place. This year’s Pisces full moon also forms the focal point of a kite, drawing out the productive potential of this weekend’s grand earth trine. The opposition between the Sun and the Moon adds just enough discontent, challenge and tension to the picture to motivate our asses to capitalize on what could otherwise be a very lazy and self-contented trine. In return, the grand trine eases some of this tension and helps ensure a bit of positive forward momentum. With Venus also square Pluto this weekend, we’ll have a chance to be reacquainted with some of our compulsive tendencies around love and money. Venus is the value we give to people and things, but more than anything, it’s the degree to which we value ourselves. And when we don’t value ourselves enough, compulsions (like jealousy, possessiveness, and overspending) are a natural placeholder. Mars is also stationing direct this weekend, which brings an additional, interesting layer of culmination to the story. During the corresponding Pisces New Moon in March — the planting of the seed that’s currently ripening in our lives — Mars was square the moon at the anaretic 29th degree of Sagittarius, right before it moved into Capricorn and began the leadup to its summer-long retrograde. This aggressive confrontation with the truth — or the urgency we felt to scrape ourselves up in pursuit of real answers — is now very likely bearing fruit on some level. Hell, healing isn’t always gentle. Sometimes you have to endure more pain first. Were the fights you picked with yourself worth it? Would you wage war differently next time, now that you’re a little more whole? Mars retrograde was very much a period of forced surrender, and this full moon serves as a period at the end of that sentence — but maybe now, at long last, with a sense of surrender that’s a little more on our terms. Craving a personal touch in the midst of all this change? I’ve got a personal horoscope with your name on it, boo.